When Did Global Warming Begin? | Watts Up With That? “The Last Glacial Maximum (LGM) refers to a period in the Earth’s climate history when ice sheets were at their maximum extension, between 26,500 and 19,000–20,000 years ago, marking the peak of the last glacial period.” As such, one could argue that Global Warming began about “19,000–20,000 years ago”. However, there was “the Late Glacial Maximum (ca. 13,000-10,000 years ago), or Tardiglacial (“Late Glacial”)” which was “defined primarily by climates in the northern hemisphere warming substantially, causing a process of accelerated deglaciation following the Last Glacial Maximum (ca. 25,000-13,000 years ago)”. “As such, one could also argue that Global Warming began about “13,000-10,000 years ago”. The Little Ice Age “has been conventionally defined as a period extending from the sixteenth to the nineteenth centuries, or alternatively, from about 1350 to about 1850, though climatologists and historians working with local records no longer expect to agree on either the start or end dates of this period, which varied according to local conditions. NASA defines the term as a cold period between AD 1550 and 1850 and notes three particularly cold intervals: one beginning about 1650, another about 1770, and the last in 1850, each separated by intervals of slight warming.” As such, one could argue that Global Warming began in “about 1850”. As such, one could argue the Global Warming began in “the 1950s”. In fact it was not until approximately 1975 that temperatures began to rise. As such, one could argue that Global Warming began in approximately 1975. The warming during the periods of “1860-1880” and “1910-1940”, before anthropogenic carbon dioxide emissions became potentially consequential, is “not statistically significantly different” from the warming during the periods “1975-1998” and “1975 to 2009”. Thus there is no indication that the warming between “1975-1998” and “1975 to 2009” is unnatural, unusual and/or caused by anthropogenic carbon dioxide emissions. Global Warming may have started in 1975, but there is no observable evidence [of] anthropogenic CO2 emission based Global Warming began in 1975. As such, one could argue that anthropogenic CO2 emission based Global Warming began sometime [after] 1975. As such, one could argue that for the last 17 – 9 years Global Warming hasn’t been occurring, and thus Global Warming began in 1975 and ended between 1996 and 2004. Thus, while anthropogenic CO2 emissions are the highest they’ve ever been, and growing rapidly, Earth’s temperature has been in a 9 – 17 year Pause. And the only period of warming that anthropogenic CO2 emissions could have had a significant influence on, 1975 – 1998, is “similar and not statistically significantly different from” the periods of 1860-1880 and 1910-1940 when there is no evidence of anthropogenic CO2 emission influence. As such one could argue that “Global Warming” due to anthropogenic Carbon Dioxide emissions may not have begun, that Earth’s sensitivity to CO2 may be low, that natural processes may be large enough to outweigh the effects of anthropogenic CO2 emissions, and/or that preparing for a period of rapid and catastrophic Global Warming, when there is no observational evidence that it is in fact occurring, may be a historic folly. Anyway, what do you think, when did Global Warming begin? January 25, 2014 in Global warming, Temperature. I see no reason to disagree with that. Working out why CO2 seems to have so little effect is more interesting because ascertaining that involves understanding the real mechanisms behind the entire climate system rather than those incorporated into the failing models. I think an adjustable global air circulation driven by a variable rate of convection provides the necessary negative system response aided by the phase changes of water. GW – It’s all a spreader full of poo. that’s my scientific truth. Shut the shops, put locals in hospital and cost this particular pillock several layers of skin! It was hot, even the UK in 76 was hot! 1977 was not hot, was that it? When Cornelius Vanderbilt began making money as a teenager in the winter ferrying passengers from Staten Island to Manhattan when nobody else’s ferry could get through the ice-covered Hudson River … south of Manhattan. I think it obvious that the warming we are experiencing began around 1850 or so with the end of the Little Ice Age. And thank the gods that cold period did come to an end. It has been said that the industrial revolution began approximately around the time of the end of the LIA and that mankind has experienced and explosion of material wealth and knowledge during the warming. One wonders why so many hate the idea of a warm world. I also understand that many studies have shown that the world has been far warmer in past times than in the present time. Why would we not want to see several more degrees of warming? Darn it. I forgot to add to the last post how much I enjoyed this article and all the hard work that must have gone into putting it together. Well done; and thank you for it. I used to believe in CAGW but then I got into Dr Who instead. On a serious note, thank you JTF for a concise argument that I can bookmark for reference when I am next attacked by rabid CAGW believers. OK, I’ve asked this before. Since CO2 lags temperature rise, what happened ~800 years ago to cause CO2 to go up to 400ppm now? Haven’t seen any attempted scientific answers about that. Jo Nova maybe?? I can confidently state that global warming started 4.5 billion years ago, when temperature in this corner of space increased rapidly after fusion started in the young sun…. OMG, I have an answer to this!!! Looking at just the U.S. The only “Warming” the U.S. has seen since 1930 came in 1998, when temperatures spiked (and stayed) during El Nino. Therefore, the answer must be 1998 …right? Well, around here it started a little after sunrise. @J. Philip Peterson (at 4:52pm). The video I linked to explains itself. It has nothing to do with the generally agreed upon point that man is causing current CO2 levels to rise. The point of the video is that historically there’s no evidence that CO2 caused temperatures to rise, and so this suggests the CO2 is not going to cause temperatures to rise now. Duh. @ Eric Simpson – yeah, but if man is only causing 3% of the CO2 rise why is it increasing so steeply? Is there any proof that the 3% is what is causing the CO2 rise? I agree that CO2 is not causing the global temperature to rise, but why is CO2 increasing? Is it all due to Humans? When did Zeus chain Prometheus to the rock to have his liver eaten each day by Zeus’ pet eagle? It was before then. Had Prometheus not given us fire back then, we would not have CO2 emissions today! Who are we to ague with a God? Or is Gore in town? The sunspot number time-integral proxy shows that it warmed fairly steadily 1720-2005 then stopped warming. Although measurements are noisy the average of 5 has been flat since 2001. 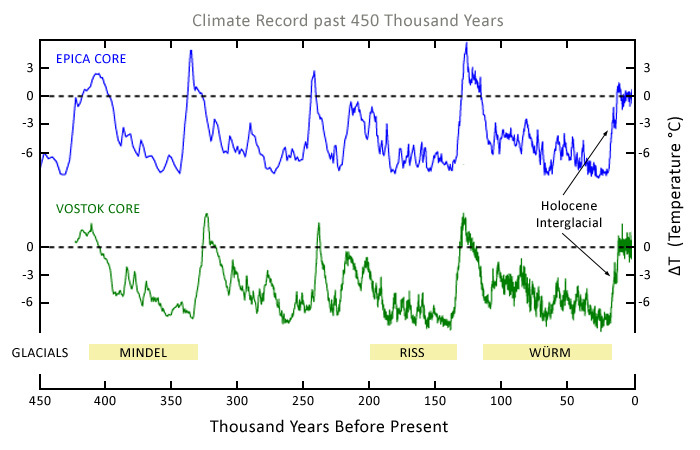 Answer: The warming started 11,600 years ago (graph by Ole Humlum above). And I sincerely hope the warmth continues! How long does an interglacial last again? I enjoyed the article; comparison of the various time scales were interesting. Answer: Correction: 10,600 years ago. @J. Philip Peterson. The video I linked to doesn’t mention anything about man responsible for 3% of yearly CO2 output. I think that’s a red herring, because I and most skeptics (with exceptions) are satisfied with the evidence that, despite man’s yearly contribution of CO2 being much smaller than the natural sources of CO2, this additional, though relatively small, contribution is nevertheless causing the cumulative level of CO2 to rise. Count me among the exceptions…. wonder what the Professor of Science Education and Dean of Teaching and Learning in the Faculty of Science and Engineeringy at Australia’s Curtin University, Dr Vaille Dawson, who receives funding from the Australian Research Council, would make of it! 4 Nov: The Conversation: Vaille Dawson/Katherine Carson: What do young people really know about climate change? Our new study, published in the latest edition of Teaching Science, has investigated the scientific understanding of 438 Western Australian Year 10 students in relation to the greenhouse effect and climate change. 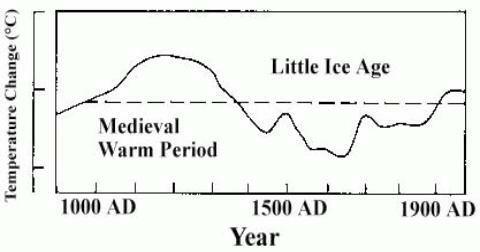 Look at Dr Lamb’s graph, 800 years ago was the Medieval Warm period. Of more interest is the warm periods are getting weaker and the cold periods colder as the Holocene draws to a close. I think if you fix the typo in the line below you will have created an outstanding resource for us deniers. Thanks. But I like your answer better: 4.5 Billion Years ago when the Sun’s fusion began. Thanks, no one ever offered that. Looks like the peak of the Medieval Warm period was almost exactly 800 years ago. Was probably more pronounced than has been reported. That’s why the increase in CO2, among other things. Extreme weather events including typhoon Haiyan and superstorm Sandy are proving a “gamechanger” for public awareness of the threat posed by climate change, Al Gore said on Friday. From within the Davos Congress Center, you can see skiers racing down the slopes outside of the World Economic Forum. Looking at the snow outside, some participants might wonder why there’s so much talk about global warming. Not so Christiana Figueres. Standing in the snow, the UN climate chief said she is pleased the topic is so high on the agenda at Davos. “The risk of increased natural events is there, the risk of a water crisis and the risk for a food crisis,” she told DW, adding that there was economic fallout associated with failing to deal with climate change and its effects. Many companies have become aware of such issues, among them Coca Cola. Renat Heuberger of the Swiss company South Pole Carbon traveled to Davos to take part in climate debates. His company gives advice to firms on dealing with the impact of climate change. Some folks have already termed 2014 the “climate year,” and events at the WEF related to climate issues attract considerable attention. Former US Vice President Al Gore came here specifically to head a debate called “Changing the Climate for Growth and Development,” which was also attended by UN Secretary-General Ban Ki-moon and Microsoft cofounder Bill Gates. The United Nations has said it would debate climate change at the General Assembly in September and send out a clear signal on the need to keep it at bay…. The UN climate chief (Figueres) estimated that about $1.3 billion (950,000 million euros) will have to be spent annually to combat climate change effectively. $1.3 billion annually would probably just cover the cost of UN climate Summits. I found Engelbeen’s comments to be good enough in summing up the situation. But it looks he certainly “goes deep” in the linked articles above. Among the questions: Why is the agency actively pursuing policy goals in 2013 based on outdated and inaccurate 2007 climate-change assessments? Why is the DNR continuing to promote in classrooms, on its website and in public presentations the U.N. 2007 climate-change assessment, without equally offering alternative points of view? Why did the agency tell this newspaper in 2011 it had stopped issuing a teachers’ guide based on the 2007 U.N. assessments, when it continues to do so? Is there any concern about the use of taxpayer facilities and dollars for an unproven and increasingly disputed political agenda, which the DNR continues to do? “The warming” seems to duplicate “The science”. The ghost of what it is held up to be. The anthropogenic component seems to be just that, manufactured in the data massaging, never manifest in the real world. But it was unprecedented,alarming and worse than we predicted. Yet now the predictions are projections. Alarm? a mental health issue. Unprecedented? well that turned out to be never happened since last Tuesday. Actually I believe The Chiefio pinpointed the days of the spread of global warming. In very interesting post of April 1st,I forget the year,using the temperature data, he describes the march of the warming as it swarms out of Africa, across the Mediterranean into Europe.On into North America. Just like a plague or a contagious madness. But what is the beginning? The plotting at the UN? Or the day the propaganda worked on enough citizens to become a dominant meme? Which is the real moment? The meetings of the weasels? Or the day the madness hit the herd? Yes, the Medieval warm period was 800 years ago, and is the other reason they want to send it down the memory hole. Why won’t the media fact check Al Gore? His recent statement of “extreme events are a hundred times more common than 30 years ago” is such a whopper. What do they call that, oh yea, the “BIG LIE”. Any intelligent and informed reporter should know that the facts say otherwise, that there hasn’t even been an increase in number or severity of extreme weather events. People ought to know Gore’s exaggerated claim of 100 times is beyond wildly ludicrous – it’s a BIG LIE. That’s as believable as his recent “convenient” posturing on geoengineering, something he was probably “for” before being against it. He was, after all, responsible for the internet and re-inventing government, so why should anyone be surprised if he himself invented geoengineering back when he was vice-president, on account of his fervent global warming belief system. Will journalists and scientists ever challenge Gore’s idiotic statements? What evidence does he offer that Typhoon Haiyan and Hurricane Sandy were caused by global warming and/or caused by carbon dioxide from smokestacks and tailpipes? None. 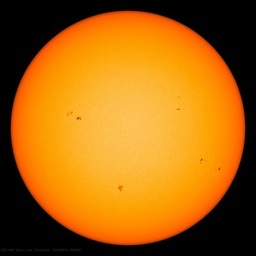 Gore popped off for years against sunspots too, and did anyone bother to investigate the truth about sunspot activity? Nope. It’s insane to keep saying there’s CAGW when NOAA and NASA just said there’s been no warming for 17 years. Even Al Gore should see that there is something wrong with this picture. It’d be very insane for the rest of the world to beleive Al Gore’s insane climate rants, theories, and “solutions”. 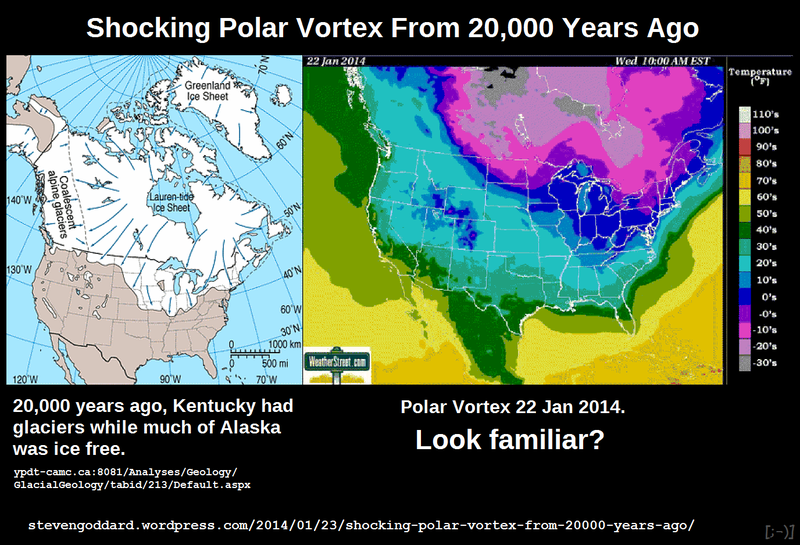 And when did global cooling begin, when they thought there might be another little ice age coming in the 50-70s? After all, 70% of the planets surface and major determining climate/weather factor shouldn’t be part of the model inputs, now should it? What other filtering factor does the region that has a humidity level 10,000 times drier than the Sahara, which sits within the thermosphere and separates the stratosphere and Ionosphere have? What are the levels of atmospheric constituents at 8000′, 12,000′ 37,000′ 41,600′, 59,731′ etc…? What particle, electromagnetic and physical chemical interactions occur within the tides throughout all spheres held within the magnetosphere? What filtering and interaction occurs within the top 11′ of our biosphere? What interaction and processes occur with the top 9″ of the troposphere? What occurrences happen in the inner 3″ and out 3″ of the daytime D Layer? I don’t know who said that, but the Industrial Revolution was well under way by 1850. The standard as-taught-in-schools* version is that it started with textile machines and steam engines of the mid-18th Century. Go and have listen to the entire lecture by Prof Salby – it gets more interesting after about the first half. He maintains that CO2 follows temperature at all time scales and if you integrate (sum the warming temps) you can derive the observed current CO2 increase. As I understand his hypothesis the reason you don’t see the changes in the ice cores is because they don’t “record” the smaller fluctuations at small time periods and concentrations are also subject to diffusion. Until you have a poll to back this up, I recommend you speak for yourself. It reads like one of the desperate attempts by alarmists to reassure themselves that “everyone” agrees with them. It is very obvious that humans are not responsible for the rise in CO2 observed, at the very least, since reliable measurements began to be collected in 1958. There are quite a few fire Gods around the place. If we piss them all off we’ll be in big trouble. Global Warming began Dec 13, 2000, the day Al Gore realized that not only didn’t his own home state of Tennessee not support him for president, but he wasn’t going to be able steal Florida either. [ … ] satisfied with the evidence that, despite man’s yearly contribution of CO2 being much smaller than the natural sources of CO2, this additional, though relatively small, contribution is nevertheless causing the cumulative level of CO2 to rise. Is this statement made on the basis of the dwell time of CO2 in the atmosphere ? In which case, I’d suggest that you have an uphill struggle ahead of you. Salby, for one, would not agree with you as, I am sure, would a lot of sceptics. The entire premise of the global warmista theory hinges on +CO2 => +warming +water vapour => runaway +warming due to +water vapour. (Natural) Warming clearly precedes +CO2 and the +water vapour aka ‘the human finger print’, has not been observed in the upper atmosphere. Conclusion must follow that the global warmista theory cannot be upheld and therefore dismissed. Both corrected. I also corrected the following sentence to say 1975. Thank you, any other recomendations on how I can improve this article are most welcome. They often call us the “D” word. What would our detractors call the following people? “A few years ago you saw the hiatus, but it could be dismissed because it was well within the noise,” says Gabriel Vecchi, a climate scientist…“Now it’s something to explain.”…..
My very first reaction on seeing the headline to this post” When did global warming begin?” was that it all began in the boreal late autumn in Madrid in 1995 when Ben Santer changed the entire meaning of the science section of the IPCC’s AR2 with a short sentence change in the final draft, a change which was never approved by the assembled climate scientists at Madrid. As one can easily see from my above quotes global climateers have been aware of the temperature hiatus from 2005 up to this January. They know what the surface temperature standstill is. They know the Mona Loa co2 graph looks like. They know they may have been badly mistaken but will never admit to it because they were shoe horned into their positions by certain entities and kept there by an endless stream of Climastrology funding. …..Today, the solitary inventor, tinkering in his shop, has been overshadowed by task forces of scientists in laboratories and testing fields. In the same fashion, the free university, historically the fountainhead of free ideas and scientific discovery, has experienced a revolution in the conduct of research. Partly because of the huge costs involved, a government contract becomes virtually a substitute for intellectual curiosity. For every old blackboard there are now hundreds of new electronic computers. Yet, in holding scientific research and discovery in respect, as we should, we must also be alert to the equal and opposite danger that public policy could itself become the captive of a scientific-technological elite. ….. The reality today is that both have held each other captive. FUNDING >>>> PAPERS >>>>> POLICIES >>>>> TAXES / LAWS / POWER >>>>> GOVERNMENT REVENUE >>>>> FUNDING…………………………….. Anyway, what do you think, when did man made greenhouse gas induced Global Warming begin? In answer to the first question: global warming began when you want it to begin. Take your choice from the end of the last glaciation, end of the Little Ice Age, 1910, 1975, 1988. The answer to the my second question is more difficult. See 1910 to 1940 warming and co2 and the current temperature standstill and co2 for ideas. Refer to Santer’s 17 year minimum and you should be able to see the problems the climateers are facing now. Strictly speaking, global warming on earth started 4.54 billion yeas ago, that is when it was formed, you know, because space is freaking cold. AGW never began. There is no Start Date. I rarely comment on climate blogs anymore as I’m patiently waiting for the next big scare story, but I enjoyed this article enough to applaud it. Informative and incisive. Very faith strengthening, thank you Prof. Facts. Could you do an article on what arguments we can use to prove ‘rapid and statistically significant cooling’ when the temperatures start going up again? Yes, it’s called daytime which follows night with “significant cooling”. So – when did Global Warming begin? 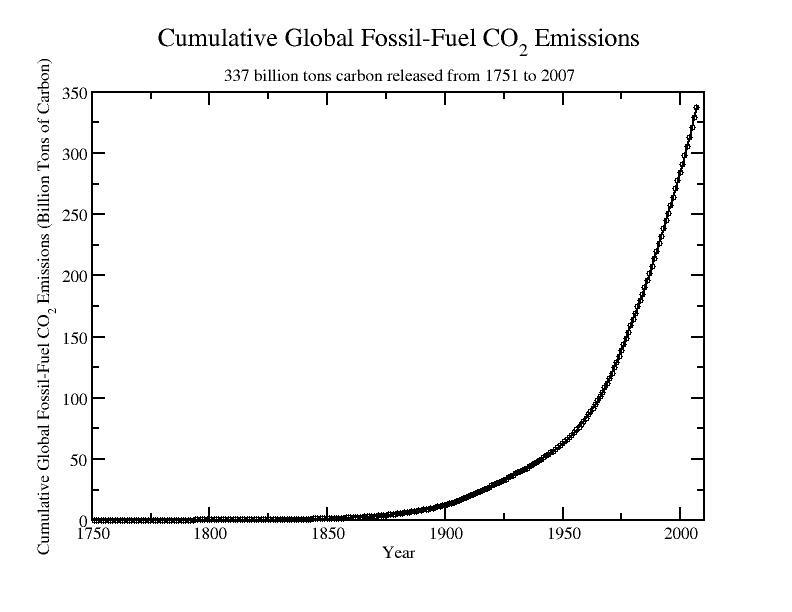 Also, when did atmospheric CO2 begin increasing? What drives the rate of convection and how, in relation to increased atmospheric CO2? Okay, so it seems this thread says Global warming started in 1975, and lasted to about…2000. But it was enough to create the unit 1 Mong(stad). 1 Mong equals about 1 billion dollars, which was the approximate cost of the Mongstad project. Yes it was underway by then. The growth is said to have started around 1800 and reached the commoner around 1850. 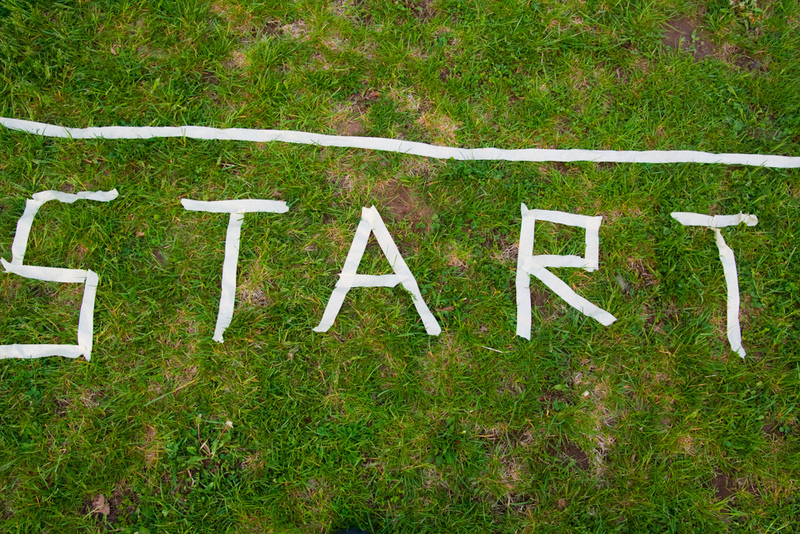 I doubt there is one date you can pick for the “start” that can’t be argued with. I think 1850 is a good date to pick to say the industrial revolution had began in earnest, but one can argue for 1800 just as well. 1750? I don’t think so, as the one invention did not change society all that much. J. Philip Peterson – Have a look at the short video explaining the case for CO2 rises lagging behind temperature rise (not the other way round) – now look back ~800 years in thee charts above and there it is – the Medieval Warm Period. First things first .Hydrocarbon assets are extremely valuable so a rise in prices would send more money into the coffers of what many Western countries already consider banana republics so all these stealth ‘carbon’ taxes really circumvent a direct rise in oil prices and prevent money going to nations that are either unstable or have aggressive interests against Western consumerist society. Were the Western Governments to call for a 7 year hiatus into funding the present mode of research and simultaneously stall any hikes in ‘carbon taxes’ under the assumption that there is enough voluntary interest in climate research by passionate people to return to a clear perspective in 7 years or so, how far do you think that proposal would gain traction from either the political side or the pseudo-scientific side ?. The word ‘voluntarily’ is what would terrify researchers but as they are secure within the education system with their salaries and pensions they barely register websites like this regardless of how readers here may believe how important they are. What is today called ‘climate research’ is really assertion warfare hence it isn’t a real view of global climate and what has made this planet habitable for many millions of years. I would consider it a miracle were I to find an individual who could dwell on the significant daily cooling long enough to ascertain its cause as their location swings into and out of solar radiation each day but unfortunately observers today are still addicted to late 17th century assertions which tried to model the daily and orbital motions of the Earth using timekeeping averages. The story of how we arrived in this juncture in history where there is no stable narrative whatsoever,not even the cause of the daily temperature rising and falling, is a thrilling story for those willing to give up their hero worship of historical celebrities who were every bit as vindictive and small-minded as present day practitioners in modeling. It is the mob that drives the celebrity culture and not the other way around insofar as figureheads have always served a purpose within the vicious strain of empiricism. I think you are asking the wrong question. The correct question is has it already or when will the next period of global cooling going to begin. The Minoan, Roman, Medieval and Modern warm periods all correspond with the growth in civilization and human happiness. The intervening cold periods all correspond with the retreat of civilization and a rise in human misery. For and extreme example what do you think will happen at the start of the next glacial period. You know when Russia, Scandinavia, Canada become tundra and glaciers. Do you think that they are going to just peacefully die or ar they going to do what the Vandals and Huns did in the Migration period (the period between the Roman and Medieval warm periods. What they note as the Minoan warm period on the GISP graph at 3300-3200 BP was a horribly cold period in the mid latitudes that caused the fall of many civilisations including the Minoans. The Minoans expanded from about 4700 BP, at the same time as all the other classic cultures of the epoch did, where the GISP data shows it cold in Greenland, and which is fairly equivalent to the modern epoch. Thankyou for a very fine article. Your article considers temperature data sets to address the question of when global warming began. And – as your article clearly shows – the answer to the question depends on the considered time scale. But that is a consideration of global warming as a physical effect. Global warming is also a political issue which from its start was independent of physical reality. And the start of the political issue of global warming was in early 1980 when Margaret Thatcher began her campaign to create the political issue. I explain this here . Please note that the political global warming issue is induced to grow if all reference to science is removed from the influence diagrams in that article. OK, I’ve asked this before. Since CO2 lags temperature rise, what happened ~800 years ago to cause CO2 to go up to 400ppm now? It is called the Medieval Warm Period (MWP). The MWP was previously called the Medieval Climate Optimum (MCO) so you may want to check that in your research of the matter. Climate alarmists changed the name from MCO to MWP because ‘warmer being better’ was an implication they did not like. The Roman Warm Period (RWP) was warm. The Dark Age Cool Period (DACP) was cool. The MWP was warm. The Little Ice Age (LIA) was cool. And the Present Warm Period (PWP) is warm. It is possible to see a pattern in this. Nobody knows although some people like to think they know. The atmospheric CO2 increase may be entirely natural, entirely anthropogenic, or a result of some combination of natural and anthropogenic causes. Determination of which of these possibilities is true cannot be achieved because sufficient data does not exist. The basic rate of convection is determined by the response of atmospheric density at the surface to an unevenly irradiated surface. Because of the unevenness of surface energy distribution one inevitably (via conduction) gets parcels of air at different temperatures and densities alongside one another at the same height. That situation is inherently unstable because lighter parcels must rise above denser parcels and that starts the process of convective overturning. That inherent instability can never be removed for a rotating rough surfaced sphere illuminated by a point source of energy. All references to containers stabilising at an even temperature distribution (isothermal) are invalid. The decline in density with height inevitably gives rise to a lapse rate even in the absence of radiative gases and the convective overturning is self sustaining because the heat used in uplift (KE becomes PE) is returned on the descent (PE becomes KE). The convective overturning is effectively a closed adiabatic loop. If one then introduces radiative gases then any radiation from them back to the surface seeks to increase the temperature and density differentials in the horizontal plane at the surface. But as we have seen it is the size of those differentials in the horizontal plane that determines the rate of vertical motion in the form of convection so increase the differentials and one must increase the convection for a complete or near complete negative system response. So, radiative gases have a zero or near zero effect on surface temperatures but do have an effect on the global air circulation. If GHGs try to slow down the flow of energy through the system then the speed of convection increases to negate the thermal effect at the surface by increasing the flow of energy through the system again by an equal and opposite amount. There is some debate as to the net effect of GHGs due to their ability to radiate to space from the atmosphere but that need not concern us here. The whole process is the result of temperature and density differentials in the horizontal plane at the surface being mechanically converted into vertical convective motion via conduction from surface to air. Meanwhile for Earth the variations in global air circulation caused by solar and oceanic changes makes any effect from our CO2 emissions completely imperceptible. Convection is the process whereby the combination of conduction and radiation is constantly adjusted so as to maintain radiative balance for the system as a whole. If the balance of conduction and radiation goes out of equilibrium then the rate of convection changes so as to deliver the right amount of kinetic energy to the effective radiating height to match radiative energy in with radiative energy out once more. I´ve tried to come up with a phrase comparable to Ike’s Military Industrial Complex to tag today’s government-funded Climastrology. I’ve seen Climate Industrial Complex (unfortunately not pronounced SIC) , which works only partly, to describe Green Energy boondoggles. Climate Academic Complex (CAC) is similarly not inclusive enough for the whole range of crony scientivism with which the world is presently afflicted. Maybe younger, more agile brains here than mine can coin the needed term. AGW- the idea that humans are causing a climate catastrophe- is 100% man made. It is yet another manifestation of what happens to many people when they stare into the abyss too long. The abyss starts to stare back. FWIW, everytime some government hack uses the term “denier” to dismiss skeptics and hide the failure of AGW predictions, it is clear at that our government ill serves us. 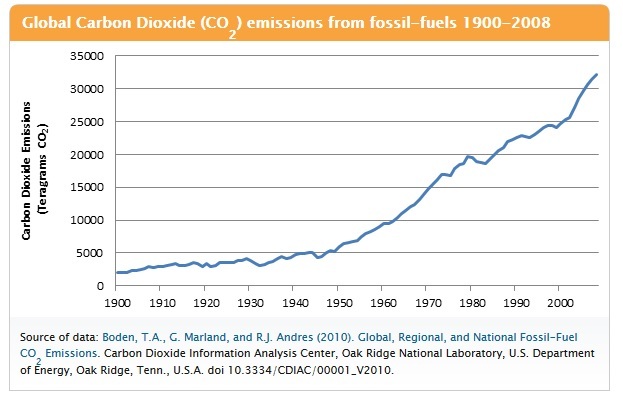 …t if man is only causing 3% of the CO2 rise why is it increasing so steeply? Is there any proof that the 3% is what is causing the CO2 rise? 800 years ago was the Medieval Warm period. CO2 lags temperature by 800 years. Of course that all depends on whether or not you agree that CO2 is well mixed in the atmosphere (I don’t) and that the measurements of CO2 are reliable. When scientists/researchers, politicians, big corporations, the media, Green organisations, NGOs, bureaucrats, realised there was money and/or power, prestige, privilege in it for them. The only long term trend I can glean from the above graphs is that of declining temperature against Co2 rise on the Greenland ice-field history. It is a conductor of heat even if reluctantly so. Doesn´t spell anything, but makes kind of a gagging sound: Government-Academic-Industrial Climate Scam (GAICS). In 1972 I heard during a UNEP meeting in Nairobi a discussion on CO2 as a pollutant. I found it remarkable that several of the discussing team were bankers. Therefore 1972 is the date for me. I believe there is a very straight forward and simple answer to your question of why changes in CO2 concentrations have so little impact. Conclusion: due to the minimal absorption bandwidth allotted CO2, and its minuscule concentration in our atmosphere, there is no logical reason to believe changes in the CO2 concentration will have any measureable impact on Earth’s heat retention or mean temperature! But accepting this by the AGW crowd would end their “research” funding gravy train. Not going to happen until skeptics or Mother Nature jams it down their throats. The so call greenhouse effect is a result of atmospheric mass held within a gravitational field and irradiated from outside resulting in conduction and convection with the radiative characteristics of CO2 coming pretty much nowhere in the scheme of things. Your point about the absorption spectrum supports that diagnosis by pointing out that even if radiative characteristics of CO2 did have a significant effect they would be marginalised by the water cycle in any event. The water cycle most certainly accelerates radiative loss to space by lifting vapour to height and condensing it out where radiation to space from the condensate can occur more easily so a faster or larger water cycle will make it easier for the system to shed energy when necessary for the maintenance of radiative equilibrium. More convection is obviously involved in a faster water cycle so we come full circle and your point meshes with mine perfectly. Negative system responses rule and Willis E. has always been right about that and about the role of convection but he (along with many others) has a mental block about conduction and convection involving non-radiative gases being the cause of the mass induced greenhouse effect. It is that mechanical process together with its freely variable nature which provides the only possible mechanism for any thermostat hypothesis. Radiative physics cannot achieve system equilibrium in the face of internal system forcing elements such as CO2 without insisting on a higher surface temperature. That higher surface temperature then offends the purely radiative S-B law and potentially causes the atmosphere to be lost. One has to supplement the radiative physics with a negatively varying mechanical process to allow changes in internal system forcing and yet maintain radiative equilibrium without a rise in surface temperature. In that way one can have a surface temperature higher than the S-B law would predict without upsetting radiative equilibrium for the system as a whole. The reason being that one can then transfer radiative or mechanical energy excesses or deficits to and fro between the radiative and mechanical processes in order to maintain overall radiative equilibrium with space. Convection achieves the necessary effect by ‘mediating’ between the processes of conduction (between surface and atmosphere) and radiation (between surface and atmosphere on the one hand and space on the other). …But what is the beginning? One has to supplement the radiative physics with a negatively varying mechanical process to allow changes in internal system forcing and yet maintain radiative equilibrium DESPITE a rise in surface temperature. Why won’t the media fact check Al Gore? The most recent warming clearly began in the mid 1600s at the depth of the LIA. We are likely at or near the top of this latest cycle in global temperature and will start heading back down some time relatively soon (within a couple of centuries). I like to think of it like a spinning top. As the top spins down it starts to wobble but regains its balance a few times until the final wobble when it falls to the floor. This is what I see happening in the climate. The “force” that warms the planet is slowly dropping. We are currently back into the spin state but the next wobble may be the last one before we drop into the next glaciation event. What is causing the loss of “force”? Well, that force is probably solar energy and the loss could a combination of Earth’s tilt and Antarctic sea ice. Since a higher percentage of solar energy is now directed at the SH, the amount of sea ice reflecting away that energy reduces the planetary total. When we see more upwelling cold water, the ice increases and the Earth cools. At some point this initial cooling allows the NH to maintain land snow year round and this feedback sends the GAT plummeting. …I don’t know who said that, but the Industrial Revolution was well under way by 1850…. It was a bit gradual but the end of the 1700’s and beginning of the 1800’s is where I would put it. If you wanted to you could push it further back and pin point Gutenberg and his use movable type printing around 1439 giving us the Renaissance and the scientific revolution as the precursor of the Industrial Revolution. …However, commercial coal mines did not start operation until the 1740s in Virginia. 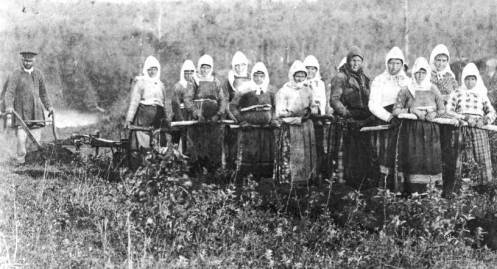 On the farming front – you have to free people from farm work to have a scientific and industrial revolution. Without coal/oil/natural gas you do not have modern farming and you are back to 90% of the labor force trying to feed themselves and a select few elite. At the risk of being naïve here – presumably none of the GCM’s can replicate the historical temperature record if they can’t model natural variation sufficiently well to account for the current pause? Isn’t that an easier means to invalidate them with politicos? First, over a period of billions of years multiple stars lived and died, Some were big enough to supernova. That material formed into our sun and the planets in our solar system. It took billions of years for the earth’s surface to become cool enough to form a solid crust. And before all that, it all started with a big bang! I say global warming never started, we’ve been cooling for billions of years. The melting of Arctic ice and increase in Antarctic ice is the bipolar seesaw. Reposted, and linked back to this here original. Excellent presentation and I believe those who read it (and can Think for themselves) shall come away Edified. re your post at January 26, 2014 at 8:35 am. Yes, as you say, we are at a point in time from the Big Bang to the Heat Death of the Universe when all heat will be uniformly distributed and everything will stop. But that is cosmic cooling which started at the Big Bang. And that continual loss of entropy does not preclude local warming; e.g. wood gets warmer when it burns. The Earth is a small locality in cosmic terms. We are discussing global warming of the Earth. ….Global warming is also a political issue which from its start was independent of physical reality. And the start of the political issue of global warming was in early 1980 when Margaret Thatcher began her campaign to create the political issue…. And then moved to the USA. Or you could go all the way back to Maurice Strong and the UN First Earth Summit in 1972. It is instructive to read Strong’s 1972 Stockholm speech and compare it with the issues of Earth Summit 1992. Strong warned urgently about global warming, the devastation of forests, the loss of biodiversity, polluted oceans, the population time bomb. Then as now, he invited to the conference the brand-new environmental NGOs [non-governmental organizations]: he gave them money to come; they were invited to raise hell at home. After Stockholm, environment issues became part of the administrative framework in Canada, the U.S., Britain, and Europe. The UN and the First Earth Summit in 1972, is where I would peg the start of the campaign. “The common enemy of humanity is man. In searching for a new enemy to unite us, we came up with the idea that pollution, the threat of global warming, water shortages, famine and the like would fit the bill. All thesedangers are caused by human intervention, and it is only throughchanged attitudes and behavior that they can be overcome. Ocean surface water receives (radiative) heat which promotes evaporation; the evaporated water vapor is lighter than the surrounding air which makes the vapor rise. Adding CO2 to the atmosphere theoretically increases IR back radiation from the atmosphere, which promotes evaporation and convection. Convection thus provides an inevitable negative feedback to radiative surface forcing. Nevertheless, this mechanism alone does not necessarily annihilate all radiative surface forcing from CO2. The mechanism you describe might enhance the negative feedback; can you please give a reference for this mechanism? …Doesn´t spell anything, but makes kind of a gagging sound: Government-Academic-Industrial Climate Scam (GAICS). Pronounce GACKS – I like it. Your post at January 26, 2014 at 9:12 am is good and informative. I provide this link to it so people who missed it can find it. As you say, prior to Margaret Thatcher becoming PM of the UK there were several people and organisations who saw global warming as a potential tool for them to use. But they did not initiate the AGW-scare because they could not. Thatcher had a personal reason, the political position and government resources to create the AGW-scare which she did. If I may be so presumptive as to put an agricultural analogy to you. Some tilled the ground, Thatcher grew the crop, and many gained the harvest, but all of them acted at the expense of we peasants who own the field. The crop would not have been grown in the absence of somebody with a personal motivation and a similar political position to those of Margaret Thatcher. And when saw the harvest having its effects she seems to have regretted what she had done, although she had done it for her personal benefit. Partly because of the huge costs involved, a government contract becomes virtually a substitute for intellectual curiosity. For every old blackboard there are now hundreds of new electronic computers. …What is causing the loss of “force”? Well, that force is probably solar energy and the loss could a combination of Earth’s tilt and Antarctic sea ice. Since a higher percentage of solar energy is now directed at the SH, the amount of sea ice reflecting away that energy reduces the planetary total. When we see more upwelling cold water, the ice increases and the Earth cools. At some point this initial cooling allows the NH to maintain land snow year round and this feedback sends the GAT plummeting. I think the point to watch is Antarctic sea ice, Drake Passage and the strength of the wind driving the Antarctic Circumpolar current. The current glaciation occurred when Antarctica moved to the south pole, the Isthmus of Panama closed and Drake Passage opened. That is the topography needed for glaciation at least currently. And I would have to agree with him. ENSO is presently neutral/La Niña and we are getting the Polar Express brining cold polar air down into North America. Steven Goddard has a rather interesting comparison of the North American glaciation and the current pattern of the Polar Express: link Another source: link also mentions “….around 13,000 14C y.a., retreat of the the western and eastern North American ice sheets exposed an ‘ice free’ corridor linking Alaska to the land to the south…” even at the height of the Wisconsin Ice age the reconstruction shows tundra in parts of Alaska. Getting back to the Antarctic sea Ice and Drake Passage. If you look at this Sea Surface Temperature map it has a good image of the tongue of cold water from the Antarctic Circumpolar Current just before Drake Passage, headed up the coast of South America to Galapagos. Decadal Changes of Wind Stress over the Southern Ocean Associated with Antarctic Ozone Depletion. Gotta blame mankind one way or the other it would seem or you can’t get a paper published. Cosmic rays may be enlarging the hole in the ozone layer, according to a study appearing in the 13 August print issue of PRL. Researchers analyzed data from several sources, and found a strong correlation between cosmic ray intensity and ozone depletion. Back in the lab they demonstrated a mechanism by which cosmic rays could cause a buildup of ozone-depleting chlorine inside polar clouds. Their results suggest that the damage done by cosmic rays could be millions of times larger than anyone previous believed and may force atmospheric scientists to reexamine their models of the antarctic ozone hole. It should be interesting to watch and see what happens to the strength of the Antarctic Circumpolar Current, sea ice and ENSO as Solar Cycle 24 winds down to another minimum. Funny, you claim that the facts I present are “faith strengthening”, yet in your next sentence you profess faith that temperatures will “start going up again”, i.e. when, not if. Can you identify any inaccuracies in the facts I’ve presented in the article? Can you present any evidence in support your faith that temperatures will “start going up again”? Another job well done, Just The Facts. And I thank you.. there is a song here..
Based on the first 3 graphs of the post, that’s a loaded question. My choice is the start of the current interglacial oooh around 11,000 years ago. And for the start of the cooling within this interglacial, about 6800 years ago. How far has the heliosphere travelled in its orbit over 450,000 or 11,000 years? My interstellar eyes are telling me the general interstellar background can be seen in the first graph. And by no means was it a warm ionized bubble through out. And in the top half of the second graph, more detailed and finer structure, of the interstellar background can be seen. But those are just my interstellar eyes. So maybe we should keep an eye on rotation changes and increases in particle flux precipitation. Such as those from solar energetic protons SEP, galactic cosmic rays GCR and energetic electron precipitation EEP. Rotation changes and particle precipitation will change atmospheric circulations and pressure changes and chemistry. I’d say, from a complete layman’s perspective, that “Global Warming” began roughly when certain gov’t sponsored “scientists” discovered they couldn’t continue to get grant money based on the threat of the “Coming Ice Age” and discovered the global desire to punish advanced economies (chiefly the US) could be co-opted to the new agenda of the threat of “Warming”, gaining them even more funding and prestige. …. before World War II the United States was not as strong as the advanced countries of Europe in R&D. Private R&D spending was quite limited, university research was supported largely by private foundations and the states, and the federal government financed only about one-fifth of the nation’s R&D.2 Annual federal R&D expenditures at the eve of war in 1940 totaled under $70 million, or about 1 percent of present-day expenditures, when adjusted for inflation…. I do not disagree, however I think sooner rather than later the international group would have figured out how to start the scare. Sort of like calculus or non-euclidean geometry. It was time and they would have found some politician to use. This is what I find when looking into Tickell. Tickell wrote a 1977 book Climactic Change and World Affairsdetailing the threat posed to Western civilization by possible changes in the world climate. I am more interested in the puppet masters than I am the puppets (politicians) because politicians come and go the masters go on sometimes for generations. The cause of the warming, the end of it, and why temperatures are headed down are offered. 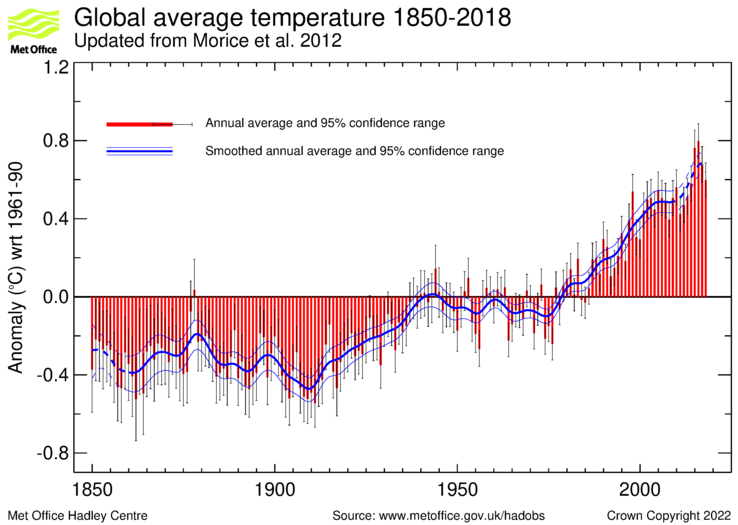 Two primary drivers of average global temperatures explain the reported up and down measurements since before 1900 with 90% accuracy and provide credible estimates back to 1610. The drivers are given at http://agwunveiled.blogspot.com/ which includes eye opening graphs and a plethora of links and sub-links to credible data sources. Thank you Gail for that informative post. to watch that vortex belt. And had to wonder about that glacial extent in the N. Hemisphere, you mentioned. Bart, except they’re not an elite. The best scientists know CACA’s a hoax. The scamsters are second or third raters, who would at best be teaching junior high science classes if not for the enormous federal & private grant trough from which they can now feed. Re. discussion about onset of Industrial Revolution, bear in mind that its first part, textile factories, was water-powered & transport was by canal,despite Watt’s improved steam engine. With the railroads & steel however came greater use of coal, the forests in populous parts of Europe & Asia having largely been denuded already. Around 1750, annual world coal output was less than 10 million metric tons. Then greater use of steam-power to pump water out of coal mines kick started the second phase of the IR, By 1860, global coal production rose to 130 million tons, then by 1900 to a billion tons, with coal providing 90% of total energy consumption. But oil was already in the pipeline, so to speak. Wonder how certain individuals might feel about an 11 year CR-Cycle? This is also quite interesting wrt all the recent and the persistant N. polar vortex activity. Check out the Earth Wind at 70 hPa now isn’t that just something.. has that bipolar look to it..
Maybe it’s best to go looking for some missing sunspots in all this. Something to do with missing magnetic flux transferring.. Thanks again Just The Facts .. Global warming started in Germany..
A simmering movement with built in support, unsold itself into what we have today.. Global warming starts in the morning and ends mid-afternoon (local time) every day. I think the warming causes the sun to come up – no science just gut instinct. “Global warming”? Is that the warmists definition, or one that actually *means* that? For the former: probably when Lamb’s funding ran out and he had to create a new scare in order to receive more. For the latter: pick a date; the Earth has been warming and cooling for billions of years. Whenever global warming began, the key is in the oceans. The world’s oceans have about the same heat capacity in the top 15 meters (50 feet) as the entire atmosphere. Satellite images record close to zero infrared emitted from the surface of the oceans. The energy leaves the oceans by evaporation and re-enters the atmosphere via precipitation. However, we know much less about ocean temperatures and cloud physics than about land temperatures. The instrumentation to measure both will eventually tell us what we do no know. I expect that younger readers will live long enough to see climate models that are able to project climate change. Give it another 30 years and the models projections will converge. That’s how to tell if there is consensus. 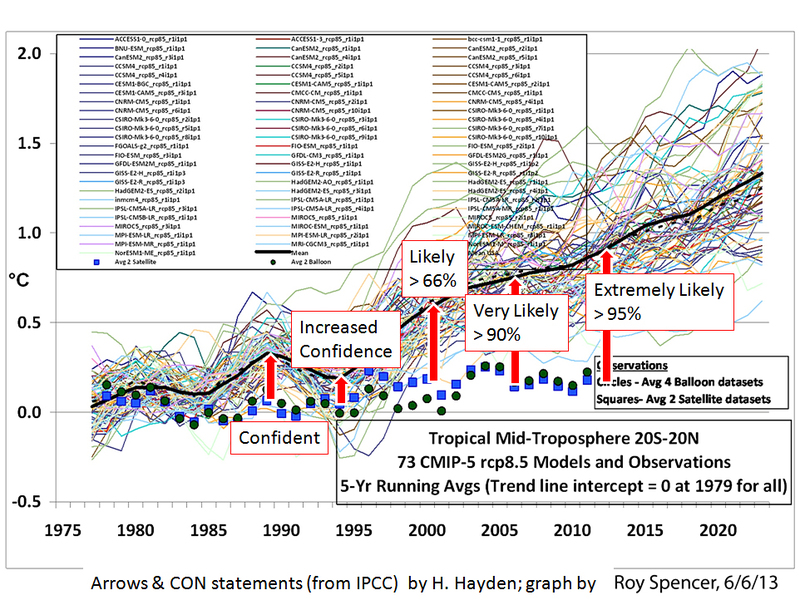 At present, climate projections from the models diverge widely. That’s how we know there is no consensus. What has happened is that scientists have jumped the gun and tried to convince the public they know the climate system well enough to predict the future. Lack of humility and lots of grants = hubris, nemesis and public resistance to funding science. Definitely 1987. I have documented evidence. I was just watching my new collection of Star Trek Next Generation DVDs, and clearly a reference in Season One to ozone depletion from an anthropogenic power source was what nearly caused the downfall of an advanced civilization. I think I missed a verb. I hate it when I do that. I guess I just excited. Earthquakes, fish kills, scorched earth, plagues, and on and on. The only calamity not parallel with the Bible is the supposed flood that will be here any minute…. When did global warming begin? Since climate is always changing, it depends on the timescale. On multidecadal scale, global warming started 1977 with the “Great Climate Shift.” Since the latest warming 1977-98 is only 21 years long, there is not enough empirical evidence to claim AGW has started at all. Natural variability can be 30-year cycles or longer. Hence it cannot be ruled out. On centennial scale, global warming started ca. 1700 coming out of the LIA. On millennial scale, earth has been cooling since the Interglacial Maximum 6,000 years ago. On longer timescale, earth is still in an ice age since 2.58 million years ago. Temperature today is one of the coldest in 540 million years of earth history. You are close to the truth here but putting a face on this truth can be such an adventure through history and the technical details. The first instance of modeling by artificial means was when accurate watches appeared in the late 17th century and the first conclusion they lunged at using a watch was that the daily return of a star to any foreground reference such as a chimney or a tree was due to the rotation of the Earth. Up to this point the actual foreground reference was the central Sun and the first appearance of Sirius after a number of months lost in the glare of the Sun fixed the Earth’s position in space and more importantly,the number of rotations it took to return the Earth to this same position,in this case 1461 full rotations for 4 orbital circuits . What they did was assert that the daily return of a star to foreground position in 23 hours 56 minutes was due to the daily rotation of the Earth and built on that foundation even though the overall qualifiers expose the cracks in that conclusion as a star returns in 23 hours 56 minutes of an average 24 hour day within the 365/366 day calendar framework. The point is that appreciation of the true foreground reference of the central Sun was lost and the annual astronomical event which uses Sirius as a marker for the Earth’s orbital position in space. Modeling by artificial means is on trial here whether it was modeling planetary dynamics using watches and timekeeping averages or climate using computers. When they tried to model planetary dynamics using watches 250 years ago they lost the basic correlation between cause and effect as they still assert an imbalance between the temperature fluctuations within a 24 hour day and one rotation and that is a low point in human reasoning as a productive and creative endeavor. To even allow yourselves to be called ‘skeptics’ is an admission of defeat and submission. Real Septics are those who avoid the facts. That’s is why there is one called “Skeptical (of) Science”. I know my response will be under a pile of other replies but for those who are reading and want to know what came first, the chicken or the egg. I’ll offer a dinosaur. In the picture below are three simple lines. Two are CO2. One is detrended and raised above Hadcrut3. It is also magnified by a factor of 6.
a. Heat comes before a CO2 surge, therefore is the cause – not the result of. b. CO2 appears to stymy warming here. c. Temperature and CO2 rates show poor compatibility. May I add caution to this human output CO2 graph displayed. The very page shows a second pie chart. with forestry and crop growing as a form of CO2 emissions instead of absorption. Are they pulling the leg of a snail? Plant mass is derived wholly from water and CO2 !!!! Global temperatures began to slowly recover after the coldest decades of the LIA (1630-1690). 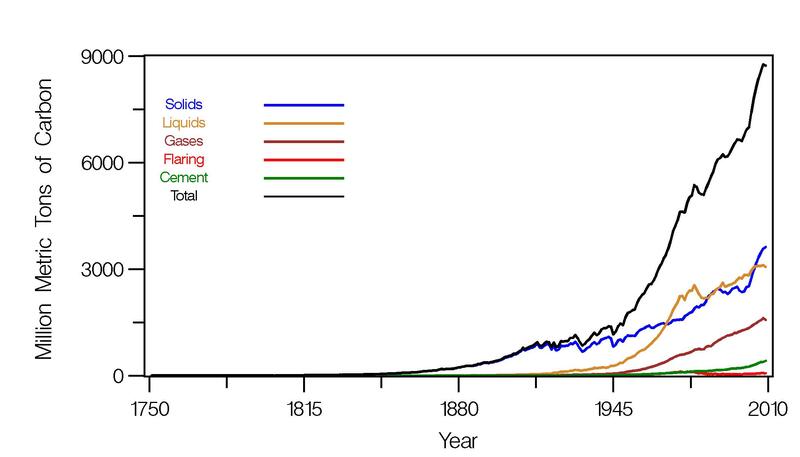 However, after 1878 (the Great Climate Shift), this recovering process began to accelerate. For the next 110 years global temperatures rose on average at a steeper rate than they did the previous 200. 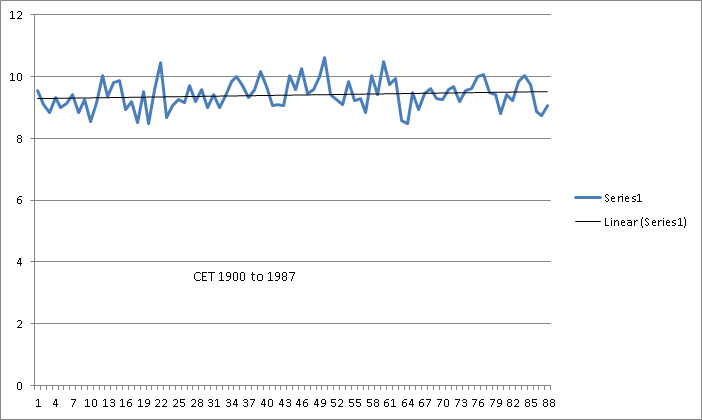 However, since 1990 the rate that global temperatures increased began to Plateau and then stop later in the 1990s. This graph is great! It puts the IPCCs increasing confidence against their projections and observations. That is just so beautifully put. Made my day. … (I)f the estimated increases (in atmospheric CO2)come to pass, calculations show that we can probably expect global temperatures to increase by nearly 1 degree C by the year 2000 and by about 2 degrees C by 2040. So the GCMs all came after 1979. Some years back, perhaps 20-30 years ago, before the current “climate change” silliness took off, I recall reading an observation from an astronomer that the earth’s temperature swings were also reflected in proportional temperature swings on Venus and Mars. The point being made at the time was that the sun’s moods had a equal affect on all the planets. Perhaps someone ought to correlate the temperature deviations of all the planets and see if the charts correlate to what’s happening on Earth. Big picture, it began about 12K YBP. But it is complicated. That trend seems to have reveresed about 3 – 4K YBP and from there it was a bit down hill. But more recently, the past 150 years, back up a bit but not as high as that past high point. 3) Pre-Modern academic era: Fourier, Arrhenius, Agassiz et al., late-1800s. 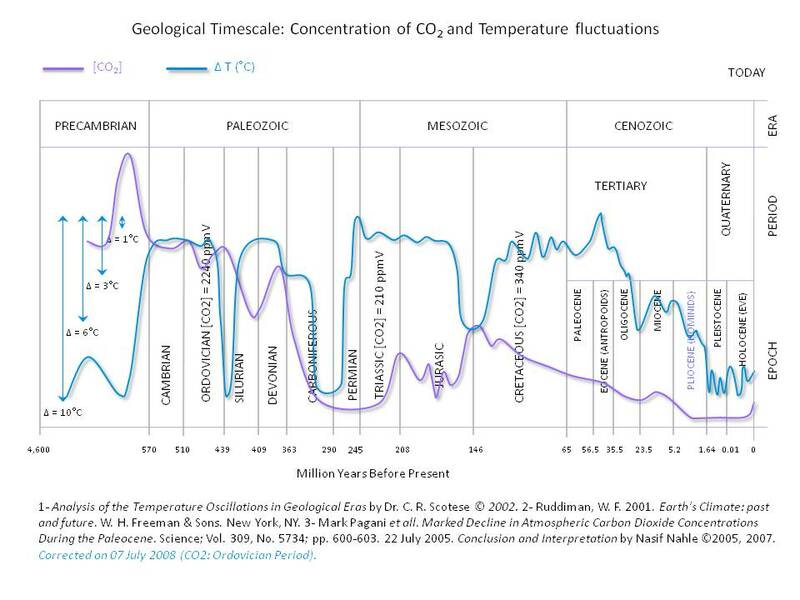 4) Geologic Global Change (temperature as one of many parameters thereof), soon after 4.8 billion years ago. I would suggest that categories 1) through 3) are insignificant (though lively at times) and only 4) needs serious consideration. Furthermore,I would posit that 1) through 3) are vestiges of the Ptolemaic Model (Geocentric) universe were the faithful of today now place Humanity at the center of their Earth supplying heat for all manner of physical processes. On longer timescale, earth is still in an ice age since 2.58 million years ago. Temperature today is one of the coldest in 540 million years of earth history. Thanks Very Much! for your compilation.